What Factors Influence Your BAC? 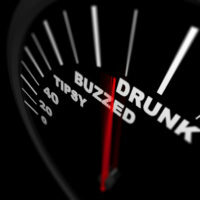 The best way to avoid getting a DUI in California is not to drink before you drive. If you are planning to have a drink before getting behind the wheel of your car, however, it’s very important to understand the factors that do—and don’t—affect your blood alcohol content (BAC). Below, find out more about what affects your BAC, and contact an aggressive California DUI defense attorney if you have any questions. The biggest factor affecting your BAC, aside from how much you’ve had to drink, is your physical size. There are also other physical factors that can result in a different BAC for two individuals who have had the same amount to drink. Women and men metabolize alcohol differently for a number of reasons. One reason is that men have more of an enzyme that breaks down alcohol in the body than do women. Additionally, women’s hormonal balance can also inhibit their bodies’ ability to metabolize alcohol. Many people believe that eating a large meal after a big night of drinking will work to “absorb” the alcohol in their stomach. Unfortunately, food eaten after alcohol is consumed has no effect on your BAC. That said, eating a big meal before or while drinking will slow down your body’s absorption of alcohol, resulting in a lower BAC. Being a seasoned drinker who is able to “hold their liquor” has no effect on your BAC. Even if you don’t seem drunk—you aren’t slurring your words, stumbling, or feeling sick—your BAC will be the same as someone else who has had the same amount to drink. 1.5 ounces of hard liquor, 5 ounces of wine, and 12 ounces of beer all have roughly the same amount of alcohol in them, and will have the same effect on your BAC. You won’t become more or less drunk based on what form of alcohol you drink, though you may become drunk faster by quickly drinking a smaller, more concentrated drink. If you’ve been arrested on suspicion of driving under the influence of alcohol or drugs in Southern California, contact the Ventura County DUI attorney who will fight with determination on your behalf by calling the Law Offices of Paul Tyler at 805-889-9000.